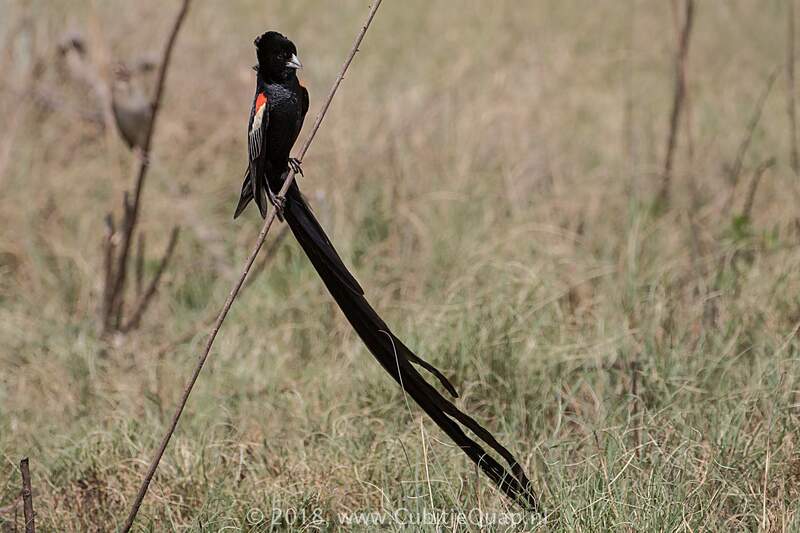 The largest widowbird in the region. 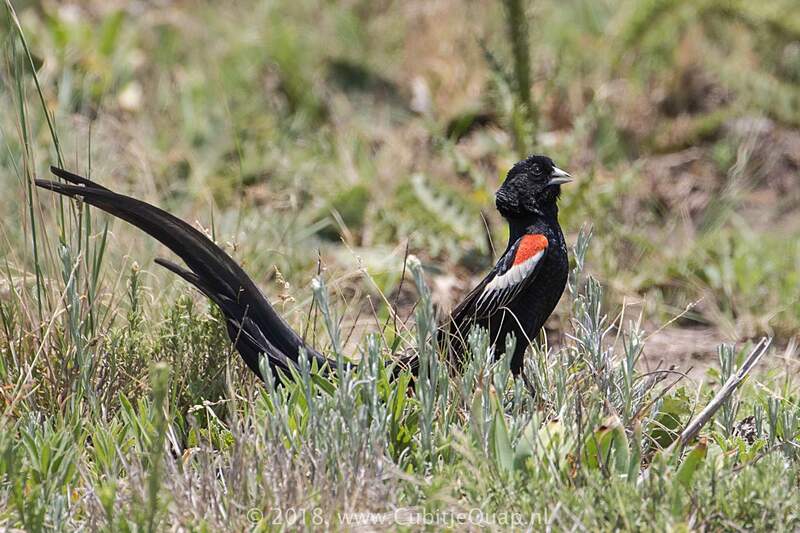 Breeding male is unmistakable with its long, heavy tail, and the bright red shoulder bordered by a whitish or buffy stripe. 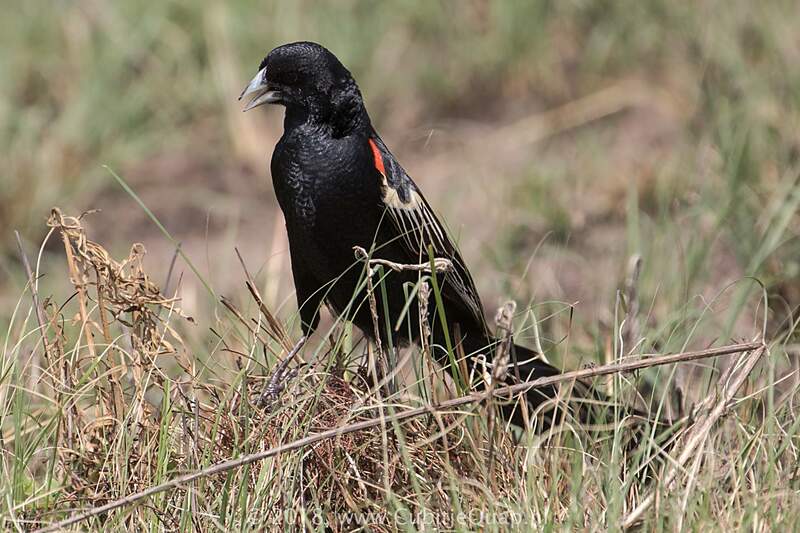 Non-breeding male has black wing feathers and is distinguished from non-breeding male fan-tailed widowbird by its larger size, broad, rounded wings and the buff stripe below the red shoulder. 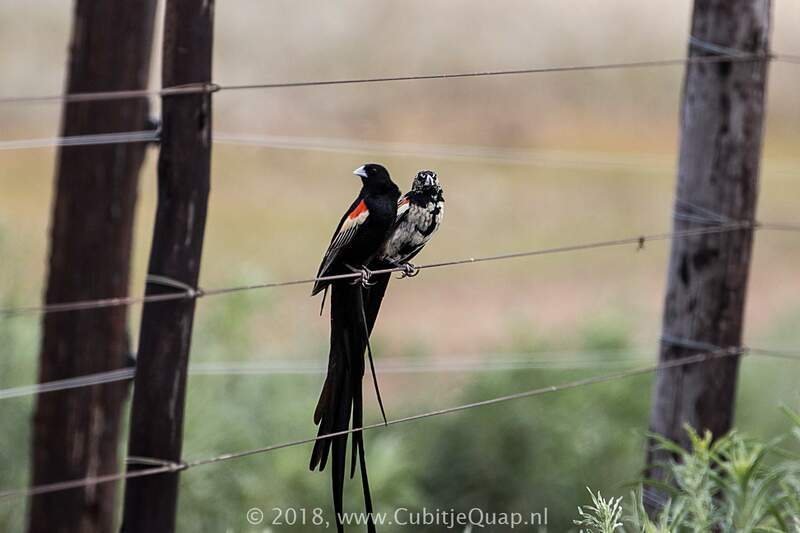 Female, sub-adult male and juvenile are larger than other similarly coloured widowbirds. 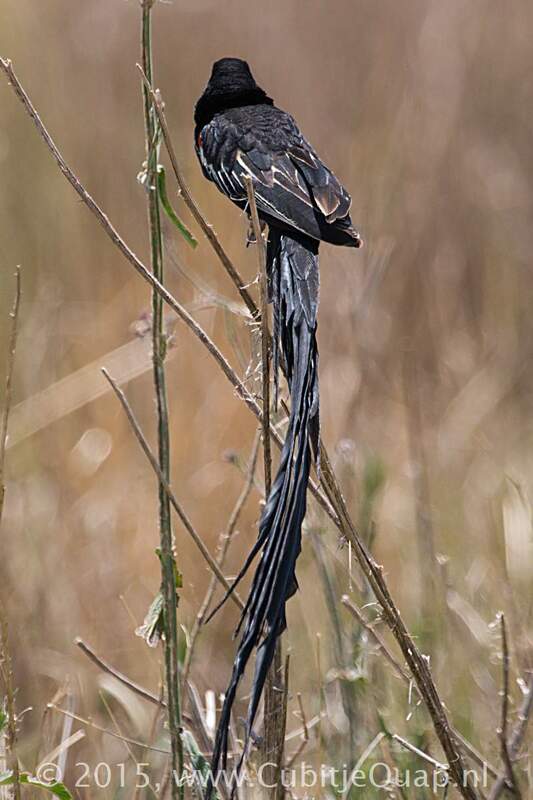 Open grassland, especially in valleys and damp areas. Male gives a 'cheet, cheet' and a harsher 'zzit, zzit'.